Some of the 5 star hotels have a juicer at one of the bars making it easy to purchase a juice poolside. There are 2 Juice Bars in Phuket Town. One is at Central Phuket and it is called Coffee Beans and Greens. And the other one is Juice Raw in downtown Phuket. In the South of the island there is a juice bar in Rawai called Atsumi Raw Cafe. 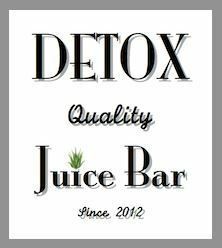 In the North of the island in Thalang, you can find Detox Juice Bar. We drink a lot of juice and hope there will be more options for Fresh Juice in Phuket in the future.